As life expectancy numbers rise, a growing number of seniors experience kodokushi (lonely death), as it's known in Japan. TOKYO — Masazo Nonaka, 113, was the world's oldest man when he died last month on Japan's northern main island of Hokkaido in an inn that has been run by his family for four generations. With him, at the time, was his granddaughter. Nonaka's advanced age was remarkable even by the standards of Japan, which has the world's highest life expectancy, at 84. It is noteworthy too that he didn't die alone, because in Japan — which also has one of the lowest birth rates and fastest-shrinking populations — many elderly people do. So many that there's even a term for it: kodokushi, or lonely death. Indeed, a survey conducted by the Japenese newspaper Yomiuri Shimbun shows that local governments are facing difficulties in disposing of the belongings of those who die alone. The survey says that over 1,000 public housing units are now occupied by the belongings of single residents who died alone. Over 1,000 public housing units are now occupied by the belongings of single residents who died alone. Bloomberg, for its part, has reported on a growing industry of cleaning companies, where lonely deaths account for 30% of overall clients. Since about half of residents in public housing are 65 or older, local authorities are calling on the central government to establish clear rules for disposing of such belongings. Current legislation says that heirs have to be contacted for instructions, but they are often difficult to track down. Either that or there just aren't any. In one case, north-west of Tokyo in Saitama Prefecture, belongings remained undisposed of for 18 years. 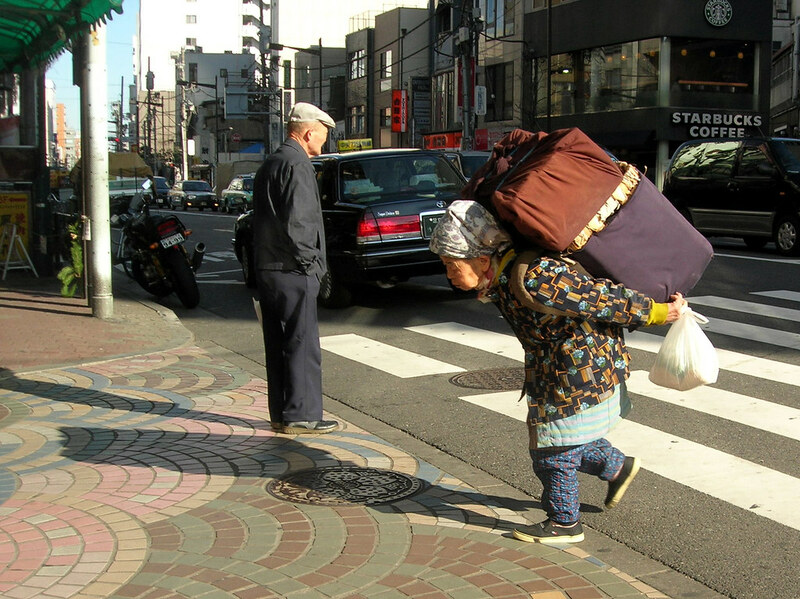 Japan's elderly face many other issues beyond loneliness. Some do not have a family to rely on and live in poverty, as Philippe Pons, the Tokyo correspondent for France's Le Monde, reported. Perhaps for that reason, there's also a surprising number of senior-age criminal offenders in Japan, according to the December 2018 "White Paper on Crime," which notes that 21.1% of those arrested in 2017 were over the age of 65. Older offenders are usually arrested for petty theft. Some steal food to feed themselves. Others say they prefer prison to life on the threshold of poverty (or below) and loneliness. Le Monde quoted one man as saying: "Tomorrow I will go to prison to see a friend. He is not a criminal, he is my age [78 years old] and he was arrested for shoplifting in a supermarket. He wanted to be arrested. In prison, he keeps warm, he is fed and if he is sick, they take care of him... One day I may have to do the same." Kodokushi isn't an issue just in Japan. Life expectancy is rising in many countries, and women in particular — especially those without children, statisticians note — are at high risk of spending their final days alone given that they frequently outlive their partners. So, are there any solutions? In South Korea, a growing number of middle-aged men live alone and hence die alone, a phenomenon that the government is trying to counteract by creating neighborhood groups to pay regular visits to those who live alone. And in the United States, villages for seniors have started popping up along with a growing number of multigenerational homes. Author Margareta Magnusson has some ideas as well. In a 2017 book titled The Gentle Art of Swedish Death-Cleaning, the Swedish writer urges people to de-clutter in preparation for death. People may not be able to choose all the circumstances of their death, but they can at least determine what to do with their belongings.